Coomer Cove | Brandon's thoughts on southern gospel music, sports, and everything else. With new tenor Thomas Nalley and bass Chris West, Authentic is the recording debut of the most complete lineup Gold City has had on stage since Steve Ladd and Jonathan Wilburn shared the stage with Danny Riley. The project includes ten songs previously recorded by the group with a mix of five newly cut and five original music tracks. The songs date from two first recorded in 1982 to four songs from the 2005 Heaven project. Danny Riley is featured on two of the re-cuts from the Heaven CD, “I’m Never Alone” and “Heaven”. If I’m not mistaken, his vocals from the original recordings are used for his solo parts. I’ve liked “I’m Never Alone” dating back to Danny’s time with Majesty and I’m looking forward to hearing it staged again. “Heaven” is always a fun song in concert and I enjoyed hearing Thomas come in on the tag and Chris burying his step out line. Danny is also featured on one of the new tracks, “Holy Anointing”. I first heard the new track last year at the first Heritage of Gold concert and instantly loved the new sound. Chip Pullen is featured on three songs, including one with a new track that the group has been opening concerts with for several months, “Gettin’ Ready To Leave”. This is a song from 1982, not the convention song that Gold City also recorded in the 80s, “Getting Ready To Leave This World.” Chip brings back one of my favorite Gold City songs, “Windows Of Home”. He does an awesome job on this Kyla Rowland song. The new track is similar to the original cut from 1990, with the most noticeable change being the lack of harmonica. Chip sings another of the songs from the Heaven CD, “My Hiding Place”. Upon looking at the project’s song list, I considered this the most surprising inclusion. After listening to the CD, this is the song that most sticks in my head. I found myself humming this song all day and going back to listen to it again several times. Chip and Chris West split the step out lines on the fourth of the songs from Heaven, “Way Down Deep In My Soul”. Thomas Nalley’s big feature is “God Of All Gods”, a song from Jay Parrack’s first recording with the group in 1994. Using the original track, the six minute song starts soft with just piano and strings, before building up to a huge sound by the end. I’d never heard Thomas tackle a song like this before but he sounds incredible. His voice sounds more at home here than an inexperienced Jay Parrack’s voice did on the original recording. Thomas is also featured on the final verse of another song the group has already been staging with a new music track, “How Deep Is The Water”. Speaking of “How Deep Is The Water”, I’ve wanted Danny to bring this song back for years, but now that we have this cut, I’m glad that he waited until now. Chris and Thomas both sound great on this classic Gold City song. While “How Deep” is the closest song to a solo feature for Chris on the CD, his voice rattles the subs throughout the recording, exactly how a Gold City bass should. From his step outs on “Holy Anointing”, “Heaven”, and “Way Down Deep” to his note on the final chorus of “We’re Gonna Rise” (with an outstanding new track), this CD shows that Chris was the only choice to step in for Tim Riley. As mentioned earlier, this line up is the best Gold City has had in many years. With this project, they bring back some old favorites that will be welcome additions to their set list and the four songs re-cut from the Heaven CD seem to give a glimpse of what direction the group will continue to go in under Danny’s direction. This project has me more excited for Gold City than I have been in years. Wait. I have a blog? I still have a blog? WOW! Okay, being serious, like most southern gospel fans, I am looking forward to the November 12, 2013 release of the Cathedrals Family Reunion recording. Over the last couple of months, several “in the studio” videos and pictures have been posted to facebook giving us a glimpse of the songs that are to be included. What I had not seen was a full list of the songs that would be included on the recording. Today, I discovered the list on the Provident Distribution website. This list gives us the songs and who is featured on most of them. We can see that Gerald is featured on “Champion Of Love,” not Scott. No big surprises are found unless you are shocked that “Boundless Love” is not included. I’m pleasantly surprised that Mark Trammell’s feature is “Can He, Could He, Would He,” NOT “Master Builder.” The inclusions of “We Shall Be Caught Up” and “Oh, Come Along” are appreciated. As an added bonus, an original song, “We’ll Work,” is being recorded and exclusively released to radio. That would seem clear that the song isn’t on the recording, yet the song title appears on the song list for the CD. Hopefully, I will find out a definite answer at NQC next week! The Dove Brothers Band have announced that pianist Joe Lane is leaving the group and will be replaced by Andy King of Wilmington, NC. Joe, who joined the group last year just before NQC, has been battling back trouble. He has lost some weight, hoping that it would help his back pain ease off, but he is facing surgery soon. Please keep him and his family in your prayers. We are sad to announce that Joe Lane will no longer be with the Dove Brothers Band. He will be having back surgury soon, and we will really miss him. Please keep Joe in your prayers for a quick recovery. We welcome Andy King as our new pianist. Andy plays several instrument well, and is a great singer and arranger. He is from Wilmington, NC, please click on Andy’s name under About Us and get aquainted with him. I know you will enjoy his talent the next time you see the Dove Brothers Band. And if you want a place to discuss the Dove Brothers Band and share video and audio of the group, check out and like the Dove Brothers Tribute facebook page. Goodbye Egypt (Hello Canaanland) **** – This is a fun, piano heavy, opening track and an excellent choice for the first single. Tenor Wayne Little is featured on the verses with some step out lines on the choruses from new bass Butch Owens. I would have rated the song five stars if Owen’s lines on the choruses were louder. As is, his lines don’t jump out at you like I think they should. Swing Low, Sweet Chariot/Swing Down Chariot *** – This opens with an acappella chorus before the music tracks kicks in. Jimmy Blackwood carries the lead through the song. While fans of the Blackwoods’ traditional sound will enjoy this track, there is nothing here that hasn’t been heard a dozen or so times before. Sweet Songs About Heaven **** – Wayne Little gets a second strong feature on the title track. The ballad is orchestrated without being overdone and is a beautiful track. A few lines of “How Beautiful Heaven Must Be”, with Jimmy carrying the lead, serves as a bridge before Wayne takes back over the lead to end the song. That’s What Was Good About The Good Old Days **** – This is a new song that fits in with the older songs. Jimmy and Butch have the solos on the verses with Wayne taking the lead on the choruses. This is another fun, catchy song. It Is No Secret *** – This southern gospel standard has a lightly orchestrated music track. Again, it is nothing that hasn’t been heard before. I’ve Heard About A City /Walk Dem Golden Stairs **** – This is a medley of two old songs, the first of which features Butch with the rest of the quartet backing him up. At the 1:55 mark, there is a sudden transition into “Walk Dem Golden Stairs.” Two choruses of the second song are performed in straight harmony, before Wayne takes the lead and ends the track with a final line from the first song. That’s What Heaven Will Be *** – This is a (too) laid back song with Wayne handling the lead. This is another new song that sounds like it could be a slightly updated arrangement of an older song. Declaration Of Dependence ***** – Baritone and producer Billy Blackwood is featured on this orchestrated ballad. Billy’s vocal is outstanding. I never realized what a strong vocalist he was before listening to this song. While this strikes me as the most impressive vocal on the project, the heavily orchestrated track is out of place alongside the other nine tracks. Someone To Care ***** – Billy is again featured on the next track as he has the solo on the first verse and carries the lead on the first chorus of this gospel standard. Butch solos the second verse before Wayne takes the lead on the following chorus. While the arrangement is nothing new, the vocal delivery is beautiful and makes this the best cut of this song I’ve heard. The Devil Can’t Harm A Prayin’ Man **** – The CD closes with a cover of an upbeat song from the Blackwood Brothers’ 1960 In Concert LP. It features Wayne again and has a spiritual feel to it, with Wayne half speaking some of the lines and some lines sung in falsetto. As Daniel Mount said in his 3:1 CD review of this project, it can be hard for groups with a history in a very traditional style to transition into the modern recording era. 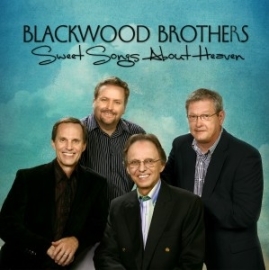 I agree with Daniel that Sweet Songs About Heaven is a solid step in that transition for the Blackwood Brothers. The project is a nice mix of newer songs in a traditional style and older songs brought into the modern era, although a couple of the old songs have been covered so many times that they all sound the same. Billy and Wayne stand out vocally on this project. Their features are the most enjoyable songs. As I mentioned above, “Declaration Of Dependence” sticks out stylistically on this project, but Billy’s vocal is so good that the song is my favorite on the CD. With the assistance of Daniel Mount’s monthly post listing upcoming southern gospel releases (the latest of which is here), I’ve been putting together my NQC shopping list (hard to believe it is just over a month away!). After compiling my list, I noticed a couple of major groups that are due some type of project were missing. One of the groups, Legacy Five, is searching for a bass singer, so that explains their lack of new release. The other group I noticed missing was Triumphant Quartet. I sent their baritone Scott Inman a message and he filled me in on the group’s NQC product releases, which he graciously gave me permission to share. Triumphant will have four new products at NQC. 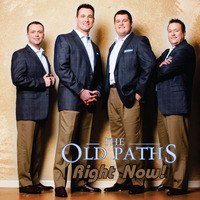 The new quartet CD is a piano/vocals only hymns collection. The group is also releasing a CD entitled “The High, the Low, & Everything In Between” featuring three solo songs by each member. They will also have two projects aimed at newer fans of the group. The first is entitled “Decade,” a two CD set of the group’s 30 most popular songs over their first ten years. And for fans who really want to catch up their Triumphant Quartet music collection, a 20 CD box set containing every one of the group’s previous releases will be available. Thanks to Scott for the info! And since I’m discussing Triumphant, they just released a concept video for their current single, “Let’s All Stand For America.” You can view the video on You Tube or their facebook page. If an official announcement has been released and this is common knowledge, I apologize, but I just discovered this week that the Dove Brothers have apparently given up the “Quartet” name and adopted the “Band” moniker. I know when the group added the band a couple of years ago they were sometimes billed as the Dove Brothers Quartet with the Dove Brothers Band. However, the name change now applies to their website. 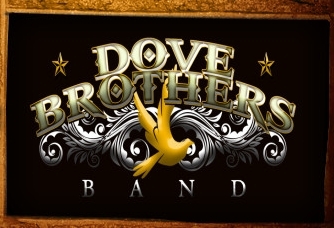 The dovebrothersquartet.com domain name has expired and the group’s website has moved to www.dovebrothersband.com. This move brings to mind the name change the Dixie Melody Boys tried in the early 1980s when they became the DMB Band for a couple of years. Hopefully, this name change will work out better for the Dove Brothers. You Tube user rpmelford has several videos posted from a Cathedrals concert recorded during Gerald Wolfe’s second weekend with the group. The video description dates the concert to December 31, 1986. Songs include standards like “We Shall See Jesus”, “Can He, Could He, Would He”, and “Somebody Touched Me” along with a couple songs that videos of seem to be harder to find, “Into His Presence” and “Rivers Of Joy”. Battle Stand ***** – The project opens with an energetic up-tempo song recorded by the Roy Knight Singers last year. The song features one of the most unheralded lead singers in the industry, Tim Rackley. Tim carries the lead through most of the song, including a solo on the second verse. Tenor Jeremy Peace takes the lead on the final chorus. The music track, featuring a banjo, establishes a touch of bluegrass that is present on a lot tracks on the project. Woke Up This Morning **** – Young bass singer Daniel Ashmore handles the verses on this catchy fast song, while Tim and Jeremy lead the choruses. Although Daniel doesn’t really bottom out any notes on the song, it lets you hear that he has a great voice to handle solos. As I mentioned above, this song is very catchy, so don’t be surprised if you find yourself humming or singing it to yourself after hearing it a few times. Everlasting Yes *** – This is a ballad that features Tim Rackley. This isn’t one of the ballads that starts soft and keeps building and building until it goes way up for the big ending. It starts and stays close to the same level, although the music during the verses is a little more laid back than during the choruses. This isn’t a bad song; it is very pretty with a wonderful message, but coming between two fast songs, the lack of energy in the song is a little jarring. I Know That God Can Do It ***** – This cover of an old Heaven Bound song is the stand out track on the project and has a ton of energy. The second verse is probably my favorite part of the entire CD. Tim, who has the lead throughout the song, sings the first line by himself and then other members come in on each successive line – a duo with Doug, a trio with Jeremy, then the full quartet. Finally, Daniel solos the last line and hits an incredible note on the end of the verse. My only complaint with this track is that it doesn’t last long enough, so I have to keep hitting the replay button over and over. I’m Saved **** – This medium tempo song is baritone Doug Roark’s only feature on the recording as he sings both verses and has the lead on the first two choruses. Doug is a solid baritone and while he may not have the dynamic range of a Mark Trammell, he sings songs with a message concerning salvation that he communicates so effectively that they become a highlight of each recording. The song is arranged in typical southern gospel fashion with a key change and the tenor taking the lead on the final chorus. While that arrangement is common, it fits this song and should go over very well at all the Baptist pastor conferences that the Old Paths are a part of. When It All Starts Happening **** – The Hoppers aren’t the only group mining Mercy’s Mark’s excellent final recording for material! This cover replaces the brass section of the original with a harmonica and lead guitar, giving it a more country flavor. The vocal parts are switched around a bit as well, but not so much that the song is all that different from the original. While I have to say I prefer the original music track to this one, it is a great song and the country feel fits in with the rest of this project. The Blood On My Hands ***** – Upon first listening to this project, this was my pick for the best song on the recording. Although a couple faster songs have overtaken it, it is still a great, powerful ballad featuring Jeremy and it demonstrates just a little of his range on the tag. I love the steel guitar work in the music track. It isn’t a country-style “crying” sound, but a very pleasing sound that adds to the song. Also, Daniel’s voice really shines on this track as he supplies the low end for the group. Right Now **** – This song is absolutely blistering – think “The Devil Went Down To Georgia” with southern gospel lyrics. A banjo, fiddle, and and some nice piano licks are prevalent in the music track. Tim is featured here, along with Daniel who repeats the verse. Daniel’s phrasing on his verse reminds me of a young Tim Riley or Jeff Chapman. An instrumental encore fades out and closes out the CD.